They are perfecting how wine is made, distributed, perceived and purchased via our Palate Profile quiz that recommends wine based on your unique tastes and enjoyed on behalf of a new generation of wine drinkers. It takes the hassle and guesswork out of picking a bottle from your local liquor store and delivers the perfect bottle directly to your doorstep. 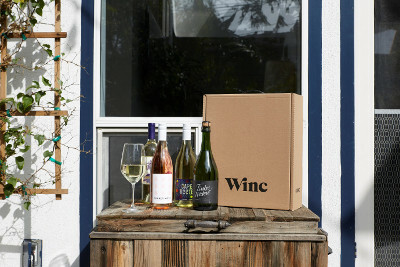 They do all this as part of our quest to improve the experience for consumers, create a platform for artisanal winemaking, and build a grape-to-glass supply chain that's sustainable for the planet. No more intimidating language and steep price points, and more joy in the act of sharing a bottle. disclaimer~ This is a sponsored post on behalf of USFamilyguide and Winc Wines.